For some reason my sweet tooth has been at it's peak. Strange beacuse I'm the girl that chooses Kettle's Sea Salt & Ground Pepper potato chips over Oreos-- give me some salt. However, I did balance it with a pistachio shake today that was oh-so-good. 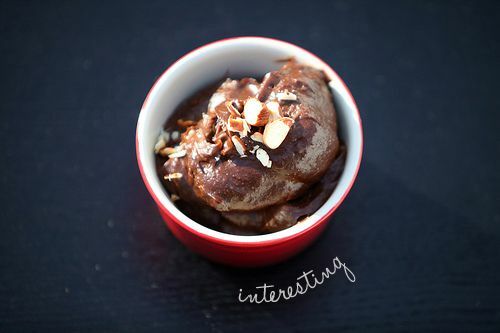 Though I've never thought to combine these ingredients, I can't wait to try this super simple chocolate avocado nutella recipe via the 10 cent designer. I'm thinking that the avocados will really take on the chocolate and hazelnut flavors perfectly. And, it's healthy (dairy free, gluten free and vegetarian).